It used to be best of four MCQs for AIIMS Neet PG Exams. Aiims has come up with newer methods of checking student’s ability. They are trying to increase the Talent hunt specificity. Newer Examination Pattern involving Reason based questions. True False, MCQs are an addition. 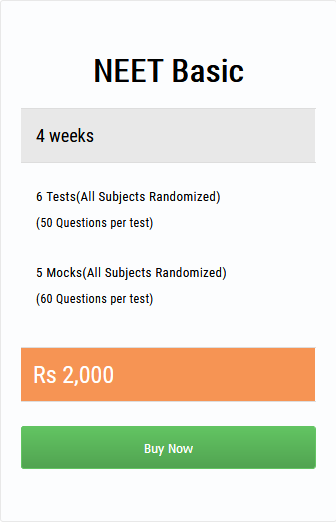 We recommend students to have a full view about the Exam patter from AIIMS website as well as NBE . All students should be updated with the latest info. The Sample of few of our new examination type questions asked is provided below. Ans. Hb Bart’s cannot release oxygen to fetal tissues. Such types of Questions are expected and having a knowledge of these questions are important. Students preparing for Aiims should attempt maximum number of Questions of such type. Our Aim is to prepare students to the best of their capability.